It’s a timeless image: a beloved cat stooping low, drinking a bowl of milk, lapping it up greedily, safe and warm inside the house. However, much like many images of pets, these preconceived notions are wrong. Worse, feeding a cat some types of milk can be detrimental to its health. When a kitten is being nursed, there’s nothing better (and nothing else it should have before it’s weaned) than it’s mother’s milk. Of course milk holds many health benefits – which is why as humans we imbibe it on a regular, daily basis. But as a cat gets older, and starts to eat solid food, it’s important to draw the line and take into consideration appropriate foodstuffs to give your beloved pet. They rely on you to feed them, and thus you must have their best interests at heart. Milk can play a role in the diet of a cat, but as an owner you should be careful. The kinds of milk you can give your cat are few and far between – and even those should be given sparingly. When asking ‘what kind of milk can I give my cat?’, people most commonly assume the things in their fridge are a good starting point. But, just like most food, commercial, supermarket milk is not geared towards a cat’s digestive system. Cow’s milk contains lactose, which requires a certain enzyme (lactase) to be broken down correctly. While humans have this, cats lack it, and thus the lactose passes through their system intact. Because it is undigested, it can sit and ferment in a cat’s intestines, drawing water, and causing dehydration and diarrhea. In young cats, this can be fatal, but it is surely miserable for them whatever age. On top of this, milk contains more fat than cats are recommended to have in their diet, and the sugary content of lactose means that they will consume a massive amount of calories (relative to them) from even the smallest amount of skim milk (80-140 calories per cup). Knowing what kind of milk you can give your cat means also knowing what kind of milk you cannot give your cat. As dietary options, preferences, and choices expand for human palettes, more questions about lactose-free milk options abound. Lacking the lactose of cow’s milk, almond milk is a viable option for someone who wants to feed their cat milk. Although cats are carnivores, and thus would never eat a nut if it was placed on front of them, almond milk is a suitable option as it contains a high level of protein. The levels of protein can’t compete with a cat’s needs, of course, and will still need to be supplemented by a balanced diet. Another alternative aimed at people who are also lactose intolerant, rice milk is something that many cat owners purport to give to their cats on a regular basis. As a product of brown rice, it contains a lot of sugar that can really mess with your cat’s blood sugar levels – seeing as how cats cannot taste sweetness, this is an unnecessary payoff. If it has to be given at all, it should be done so as a treat, and sparingly. A little more unconventional, coconut milk (and coconut oil strangely enough) are sometimes given to cats as a treat. Bear in mind, however, that just like the other milks on this list, coconut milk is not to be given in anything other than moderation or on occasion. It contains an incredibly high amount of fat, which may be okay for human consumption but should cause concern in cats. 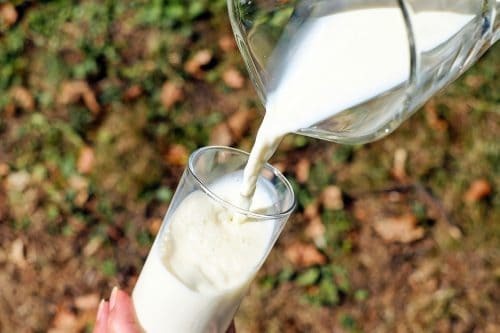 A lot of owners look to this as the most common replacement for cow’s milk in a human diet, and indeed it does fulfil the same role for a lot of people looking for a way to cut lactose out of their life. But does the same ring true for cats? Sadly not. While yes it provides a lactose-free solution, processed soya milk also contains a lot of other ingredients and hormones that can have nasty side-effects. For instance, proto-estrogen, which can lead to conditions like hyperthyroidism. Hormones and chemicals like this can cause problems in the long-term even in humans, and thus should be avoided for cats definitely! 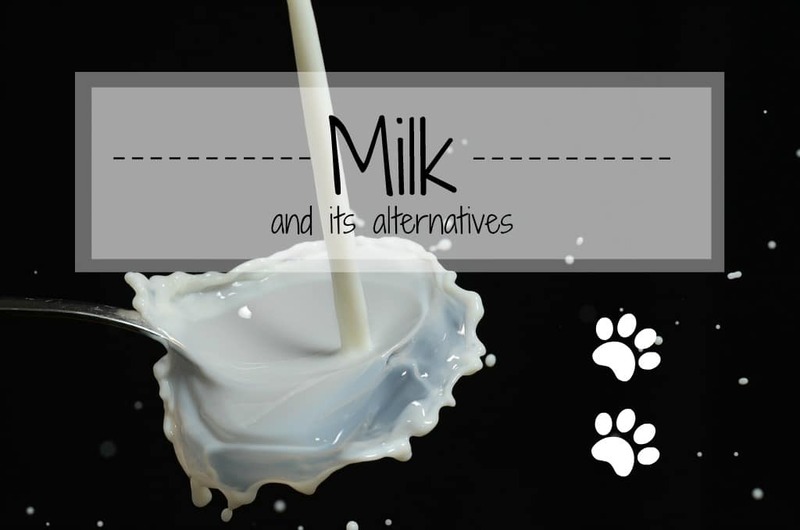 So, What Kind of Milk Can I Give My Cat? If you are looking to add milk to your cat’s diet, in order to provide a degree of variety, or just a treat, you would be far better at looking at special products aimed directly at a cat’s sensitive digestive system. Many cat milk brands invest in creating kinds of milk you can give your cat. Special milk for cats will provide them with the nutrition they require. Whiskas Catmilk is a specially balanced product that is lactose-reduced but suitable for kittens and cats in small amounts. While it does retain the calorific intake of dairy milk, some owners find this is beneficial for older or weaker cats who have lost weight, and need to regain strength in a safe and healthy way. Kittens who have not moved onto solid foods have a whole extra set of requirements. They drink exclusively milk, but this must be specially formulated to account for the carbohydrates, fat, and protein they need. Kittens without nursing mothers can be fed on special formulas such as KMR – Kitten Milk Replacer. Thanks to a whole host of ingredients ranging from whey protein to egg yolks, this temporary stopgap solution is by far the best kind of milk you can give a cat who is still nursing to replicate breast milk. Final Thoughts: What Kind of Milk Can I Give My Cat? Cats bodies do not tolerate their milk-loving youth. 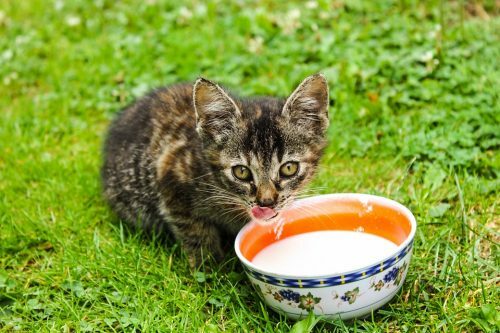 While as kittens (and thus young mammals), it is all that they drink, as soon as they are weaned from their mothers milk onto solid foods, their ability to digest milk drops sharply, leading many if not most cats to become incredible lactose intolerant. Dairy products, like cow’s milk, and yogurt have a special process and formula to suit our needs. As you may know, humans do not naturally drink cow’s milk either. When asking ‘what kind of milk can I give my cat?’, the answer is: very few kinds. Rather, it is far better to invest in properly formulated products which both avoid nasty ingredients that they can’t handle, but also provides a nutritional balance that they need. Can Cats Eat Ice Cream | Treat or Threat? Hi Sherena, it would be better if you went to a veterinarian, they could probably provide you with appropriate kitten formula, or at least be able to recommend you on what to do for the next steps. Where are you from? 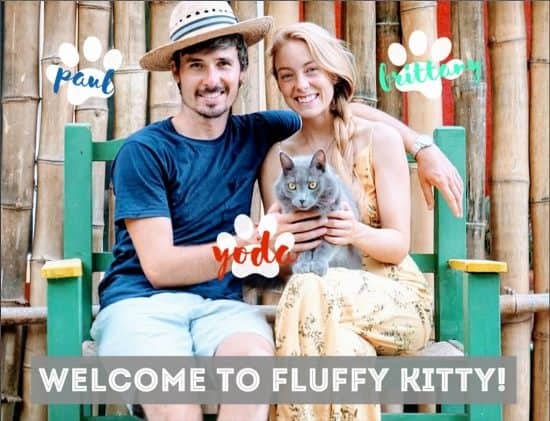 The thing is the “human milk” is not very beneficial for a growing kitten, it lacks all the nutrients that would normally be provided by a mother cat’s milk or in specially-formulated kitten milk. Try to go visit a veterinarian! Thanks for stopping by and best of luck! I bought my male Persian kitten when he was of around 50 days. Now he approx 3 months old. I feed him cat dry food (royal canin kitten food). He perfectly fine and happily eats it. But when he is sleepy be in at night or in the afternoon, he again and again comes to me shouting making a sad noise, trying to explain something.. what i feel is that he wants his mother’s milk while sleeping. Is it the problem? Is it the reason he shouts while he is sleepy? I asked docters they said its not necessary to give him milk. The dry food is fine for him. Infact milk will not be that good for him. But i feel like he should be given some amount of milk a day. It that okay if i feed him the packet mil which is mentioned above in this article? OK so I have a question please, what are the health concerns about giving cats coconut milk? I have older cats who are mad about coconut milk. They are regularly weighed and we assess treats based on how they are getting on. Hi Anna! Thanks for reaching out. Coconut milk is very high in fat, which is not great per say for your kitties. It is safe to give in moderation or as a treat, however. Just keep an eye on their overall weight and health, because too much of a good thing can become a bad thing. 😉 Especially as your kitties are older, they may have trouble digesting and breaking down the coconut milk. Try not to spoil them too much, hehe. Best of luck! Hi Lynda, yes of course. 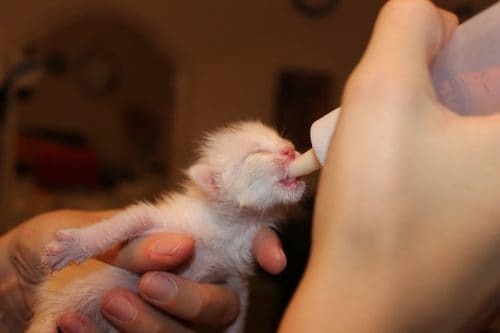 Replacement milk is especially used when fostering kittens, so it is safe. It’s common for kitties to appear thin, just as long as they are not boney or are not sick from tapeworm (hence weightloss). If momma cat is doing her job well, the kitties will be plump with healthy milk in no time – not to worry. Thanks for your question! Really it is helpful, thanks.